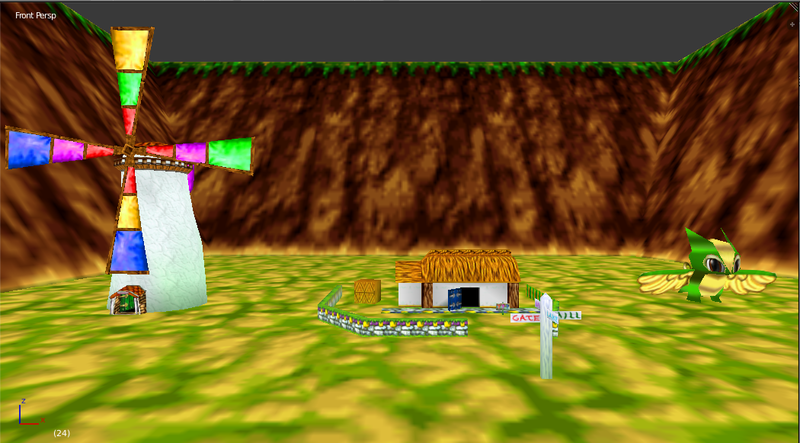 I am working on a Twelve Tales: Conker 64 Inspired level in my free time, I'll be posting updates here when I feel what I've made is good enough to show. 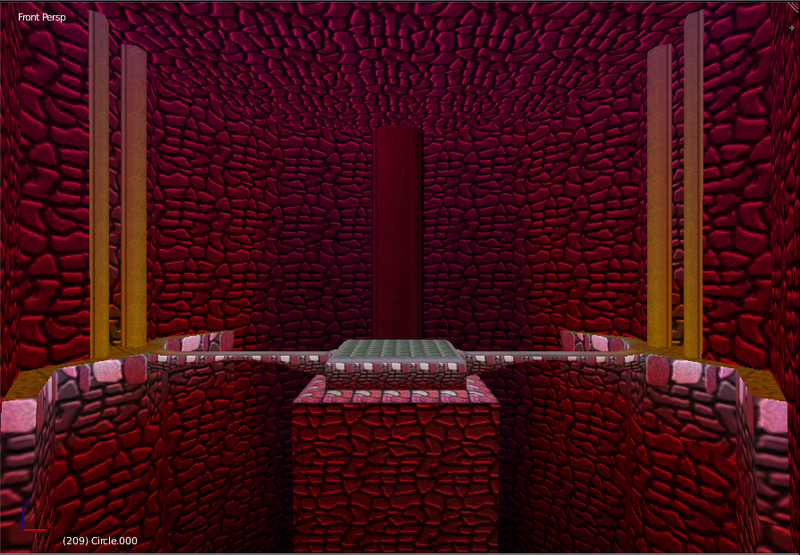 This first room I nicknamed "The Pit" was shown in A Rare Look at Twelve Tales: Conker 64, Here is the Clip. Here is a Video of me in game testing out various level assets recreated form old footage! 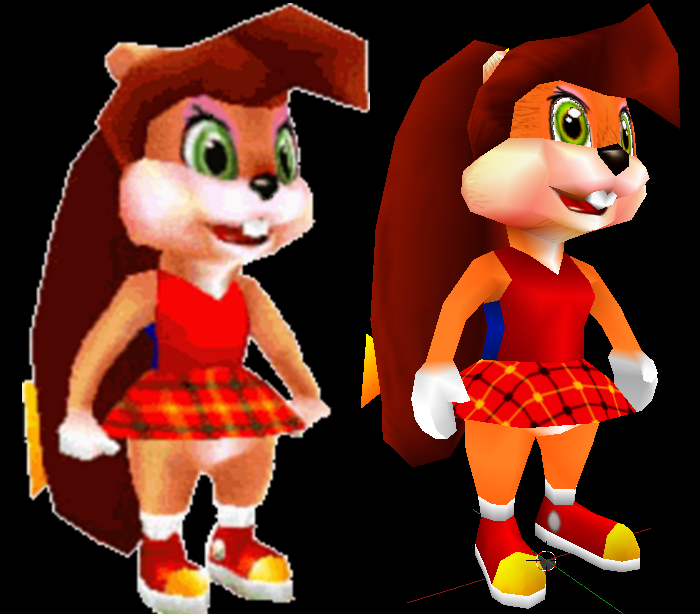 Here is my Recreation of Berri The Chipmunk. She still needs more work. Big thank you to BanjoFreak12 for helping me with texture issues. I've also made quite a few other models and characters, I'll be posting screen caps of everything in the future. I would first like to applaud you on the use of scale. Very well tuned to Banjo's size and Kazooie's jump height. Feels super immersive, like Tooie. Second, vertex shading is AWESOME. Third, thank you for the praise. I didnt do much, but I will say those textures came in looking great! Looks like a disco room. Maybe the platform could feature some animated vertex coloring? Minor touch up idea to make it look like a dance floor. Not sure what they were going for, so its just a thought. Otherwise, very neat work. I look forward to more updates! (12-29-2018, 04:25 PM)BanjoFreak12 Wrote: WOW! This is impressive. Thank you very much! I am quite happy with the scale and vertex shading also , animating the platform sounds like a really fun idea! I am still a newbie at using Banjos Backpack, how would I go about animating vertex shading? Nice, here's hoping it becomes a full hack with more than that one area. And I echo what BanjoFreak said, it really does feel like Tooie, in the best way possible. (01-03-2019, 01:40 AM)WeirdoSheep Wrote: Nice, here's hoping it becomes a full hack with more than that one area. And I echo what BanjoFreak said, it really does feel like Tooie, in the best way possible. It likely will since he referred to it as a restoration of the Twelve Tales levels in Banjo rather than one specific level. I also I'm pretty sure I saw some screenshots of where he recreated Windy before. 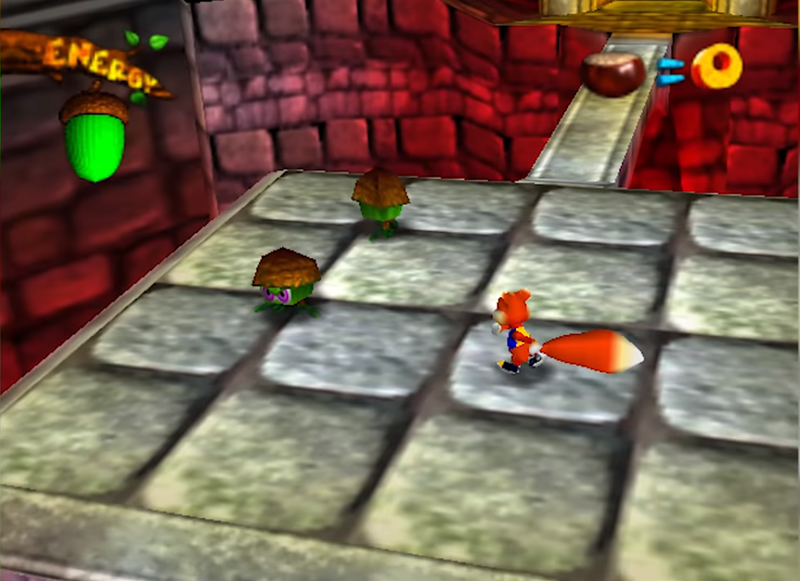 I think making a full Banjo Kazooie hack of a Conker twelve tales inspiration is a really good idea. I wish you luck and hope to see more in the future! This seems promising keep it up and good luck. Current time: 04-19-2019, 02:48 AM Powered By MyBB, © 2002-2019 MyBB Group.